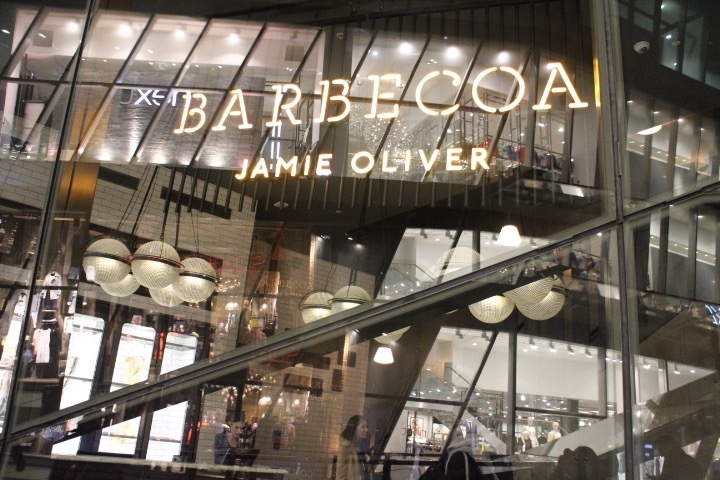 We all know that guy Jamie Oliver right? 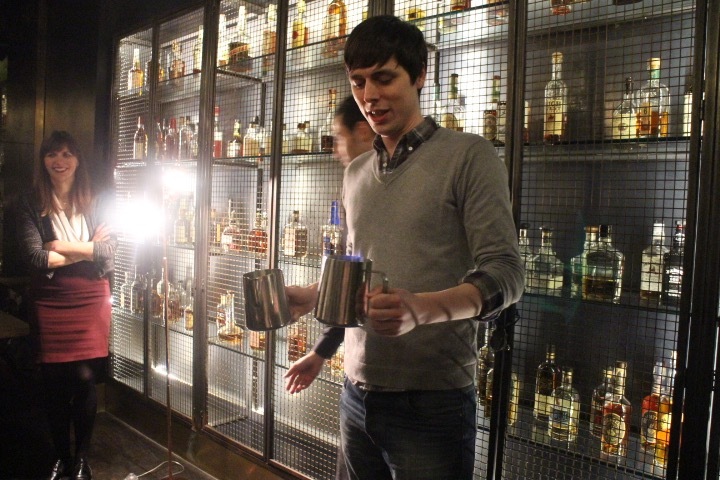 He constantly uses the word pukka catchphrase constantly. 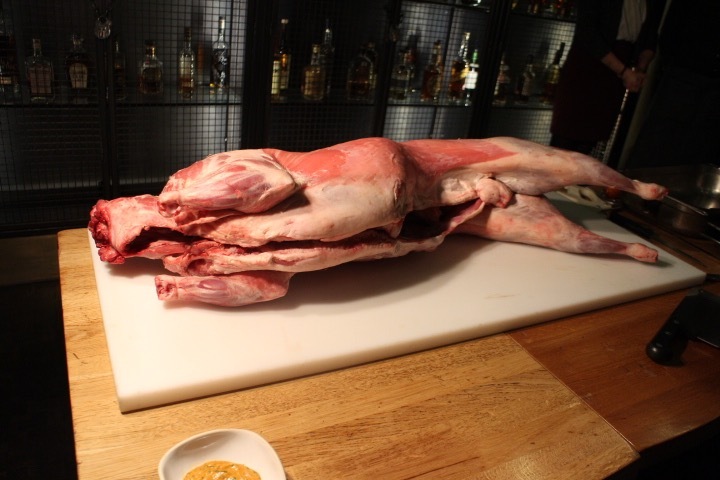 I even got to film in a commercial for him a few years back. 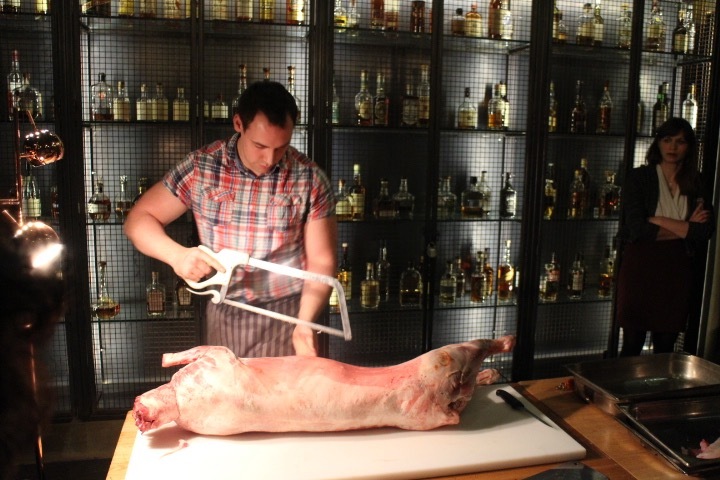 I already visited Barbecoa for the food but this time, round I was invited down to a butchery master class with saws included. 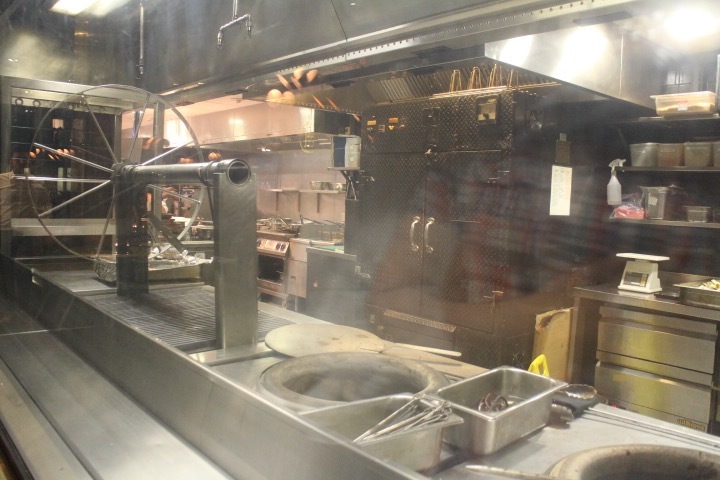 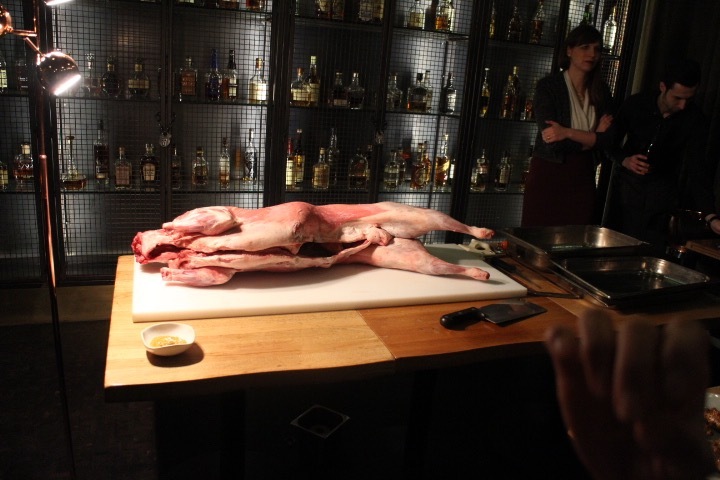 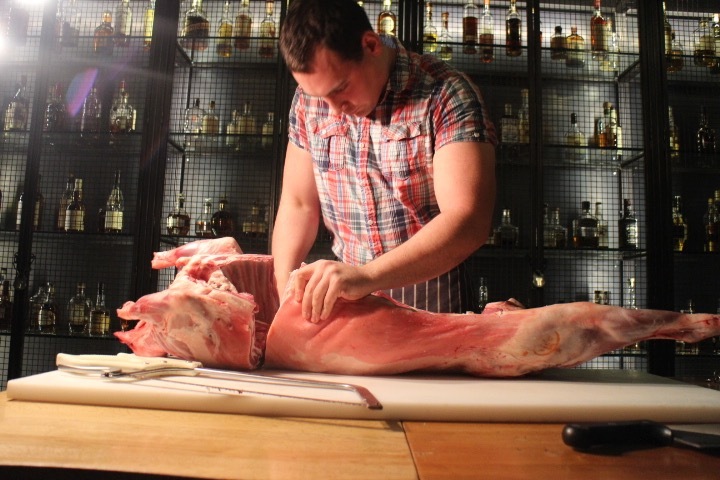 I always curious about all things food and was interested in seeing how an animal is chopped up into different cuts. 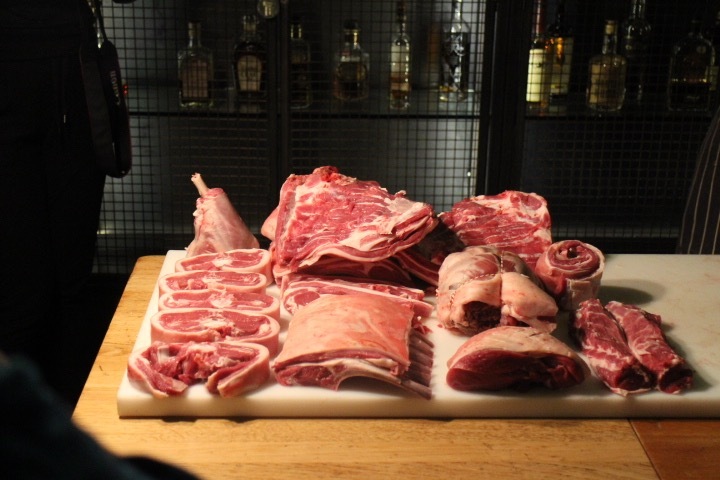 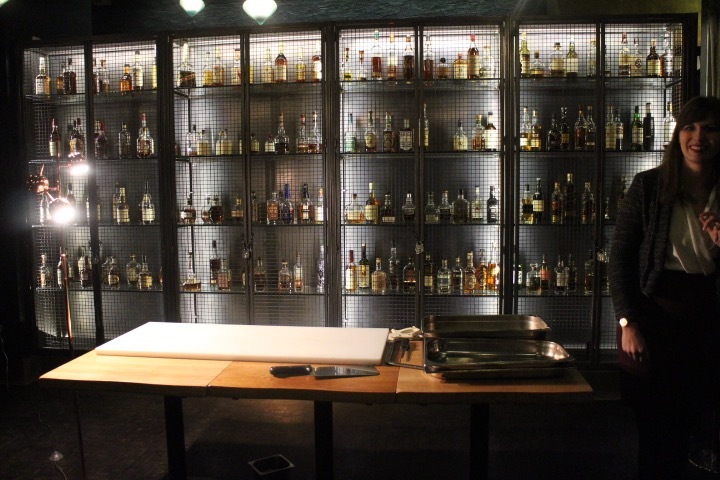 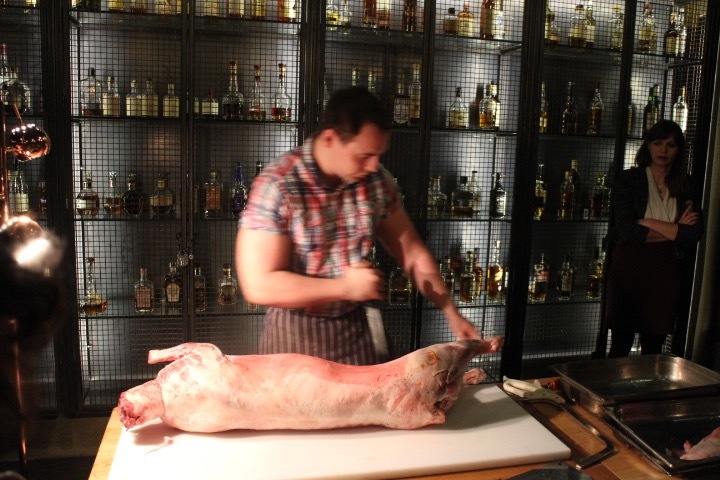 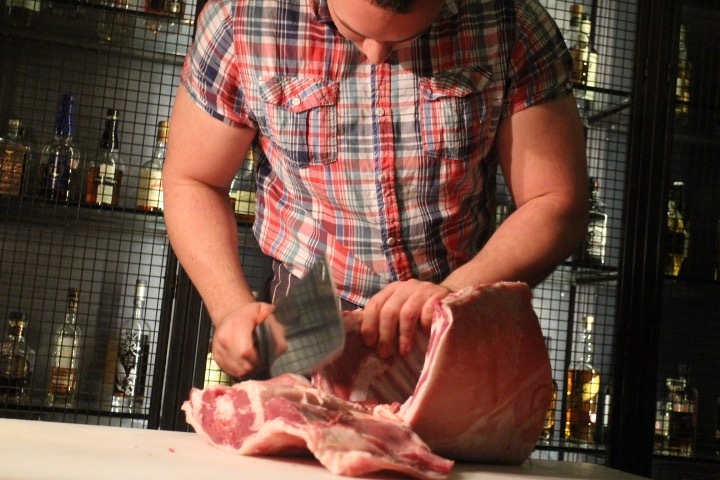 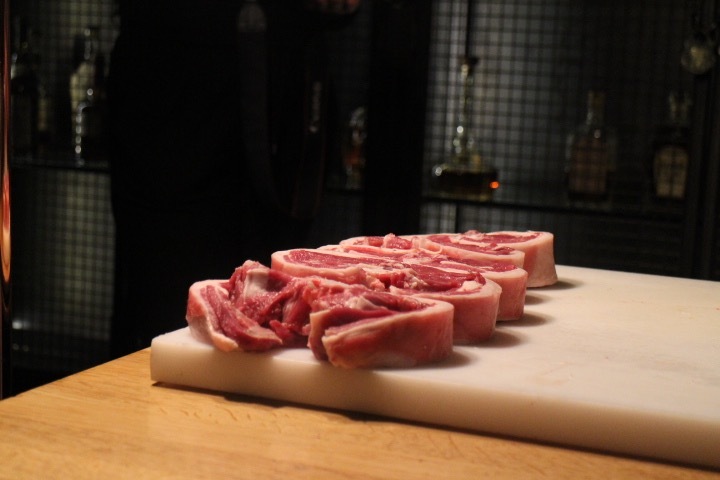 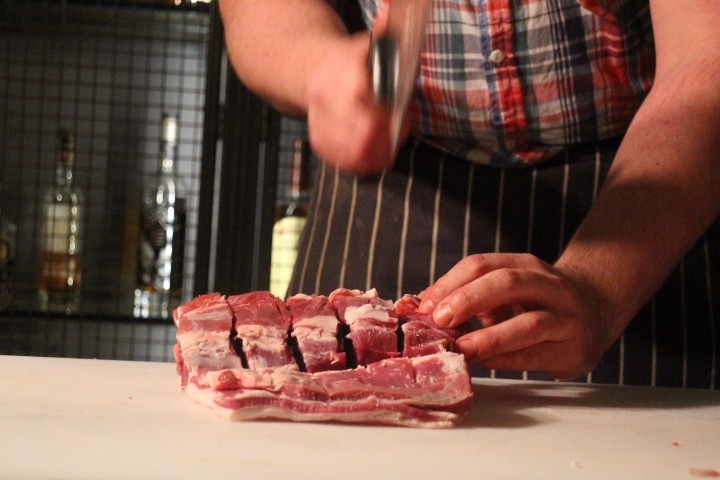 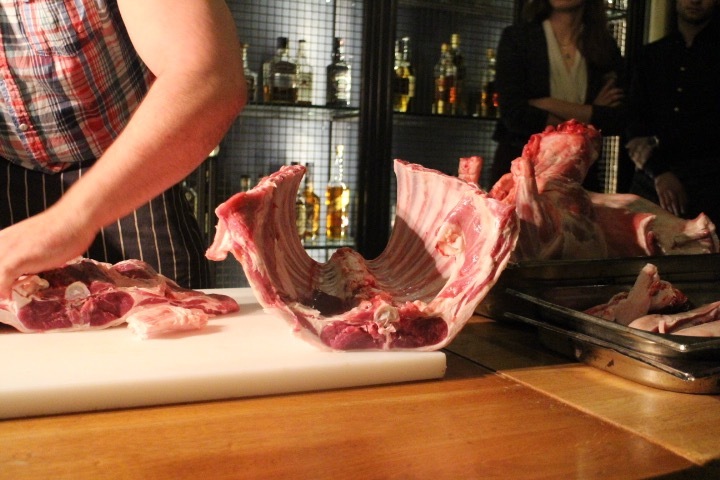 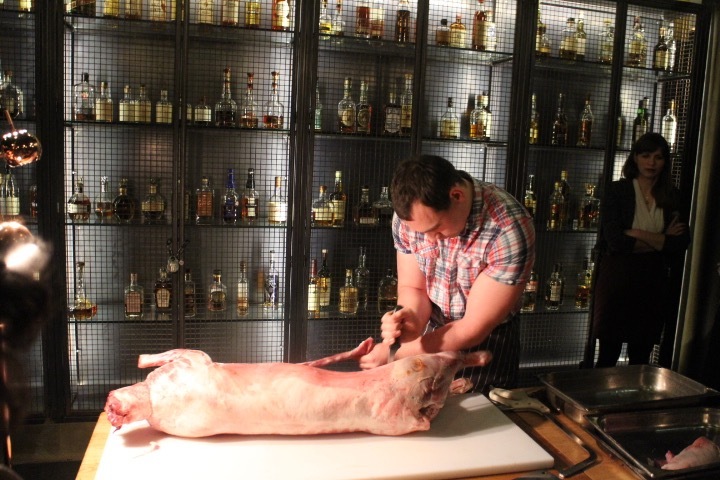 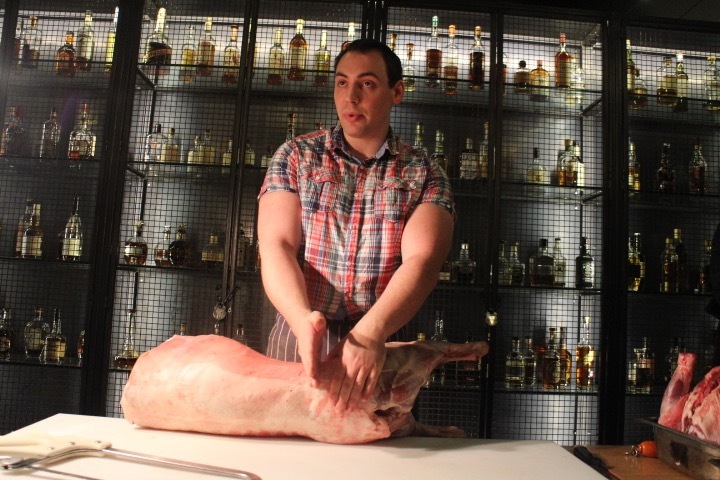 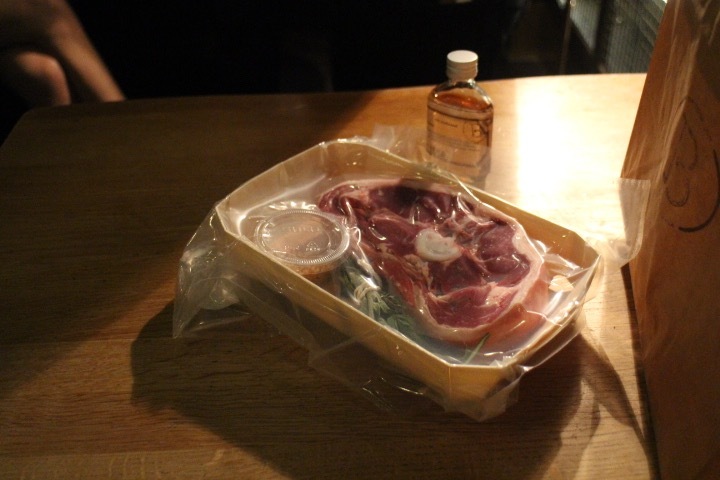 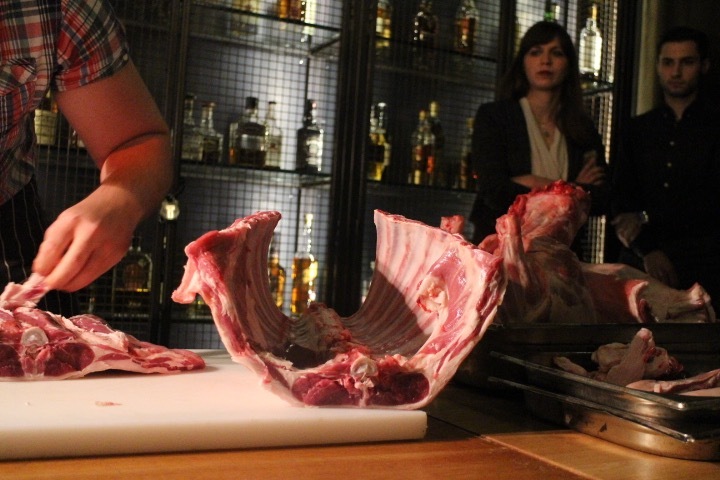 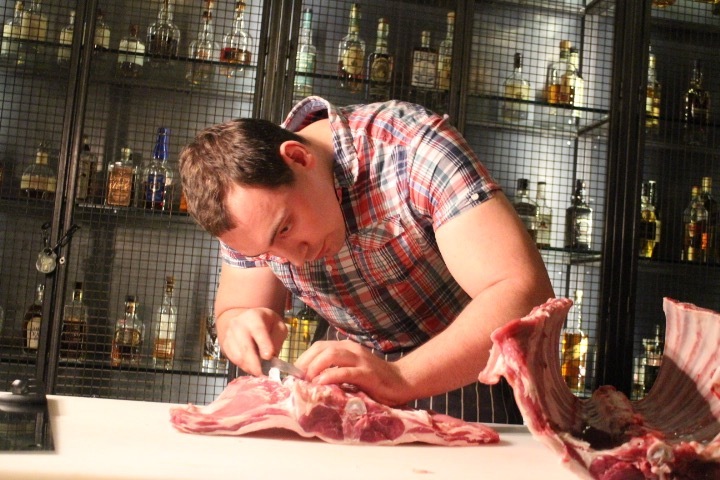 Barbecoa offers butchery courses for anyone interested in learning the art of bone out meat. 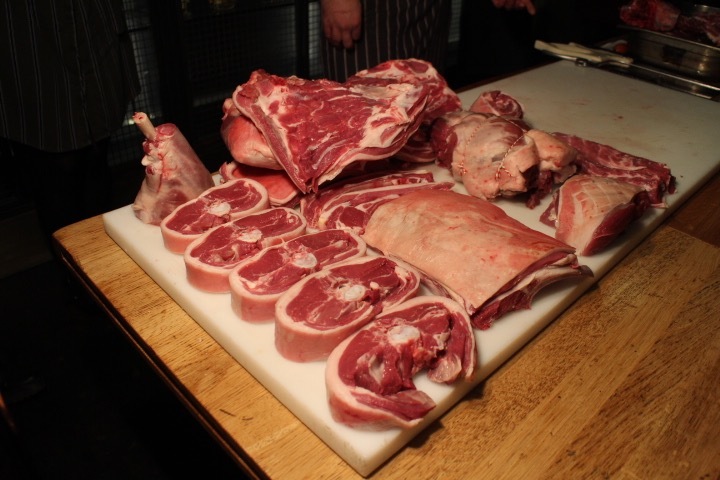 Our butcher Jeff deboned a whole lamb during the class; it’s a bout six months old from the black head breed. 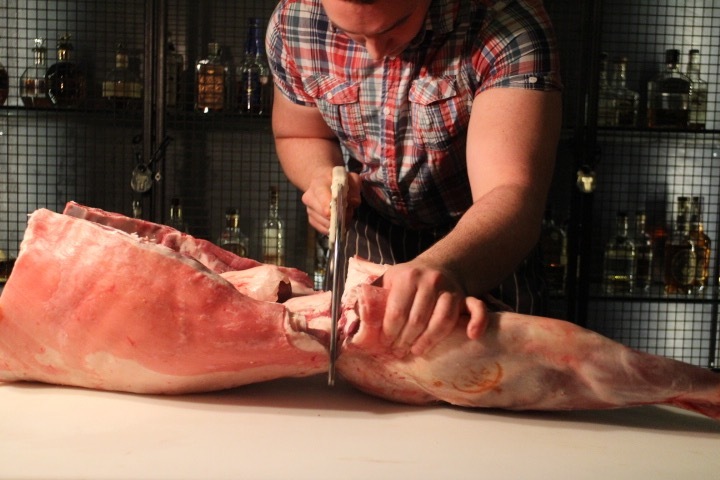 We watched Jeff operate on the lamb like a pro using different tools to bone out the whole animal. 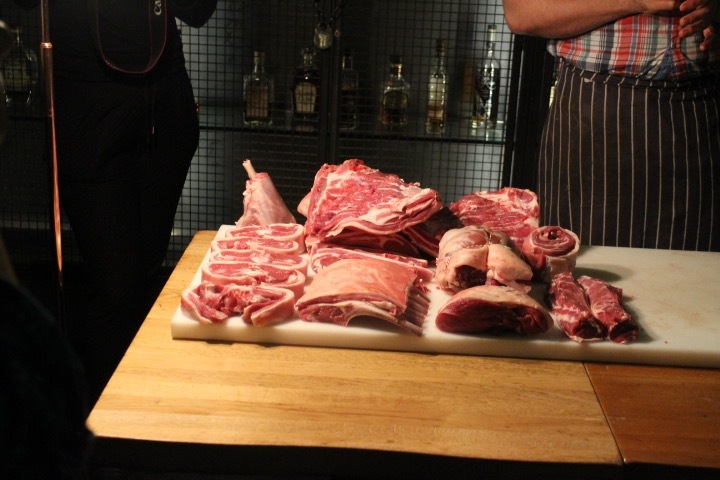 Saws and butcher knives included, he was very thorough in explaining each cut and I learnt about a bone that’s just like rubber and needed to be gotten rid of. 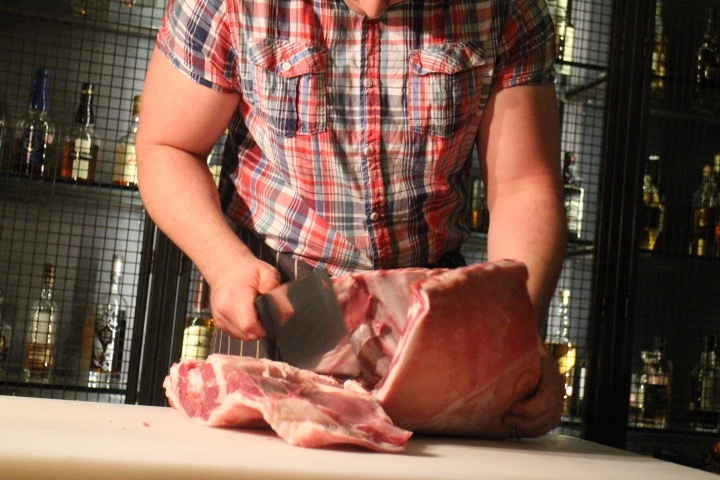 Within 20 minutes Jeff deboned the whole lamb he also told of his earlier tales of butchering. 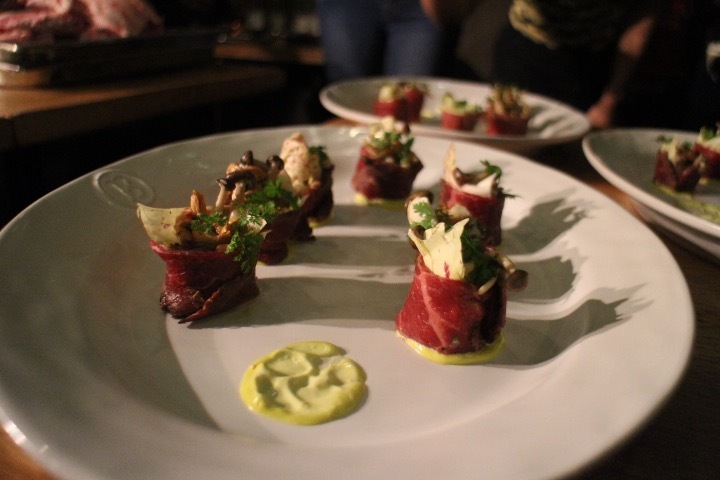 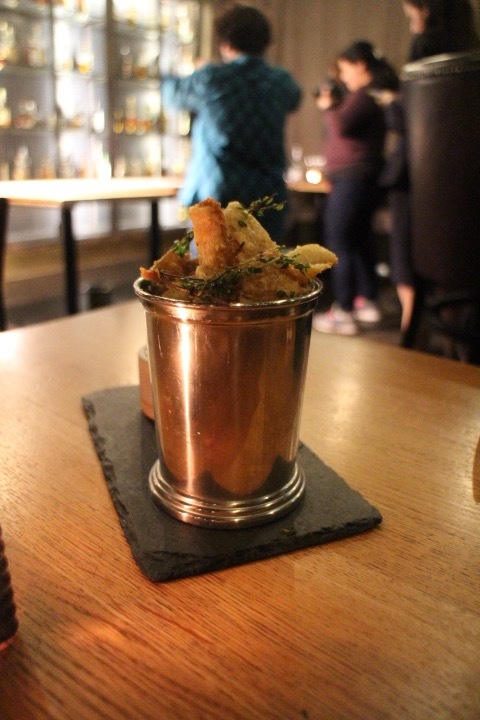 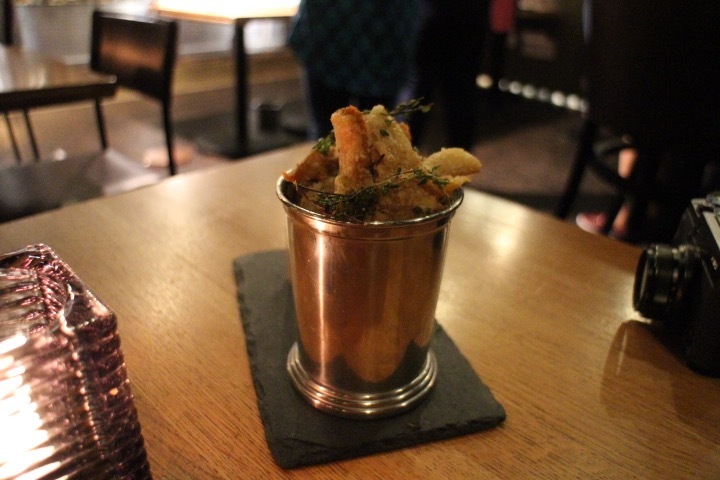 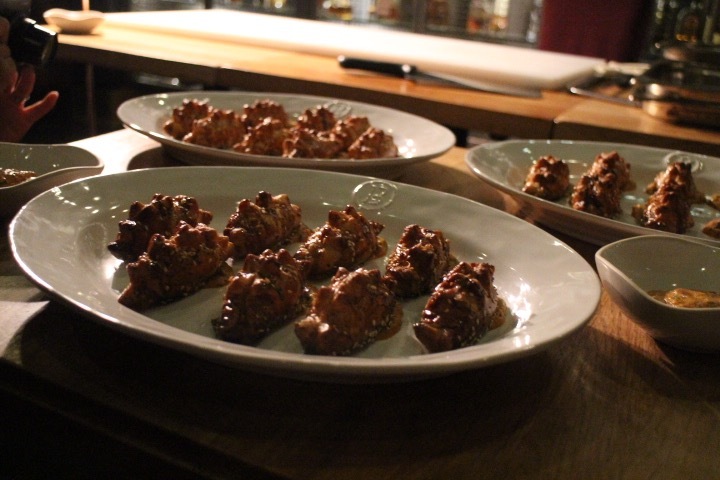 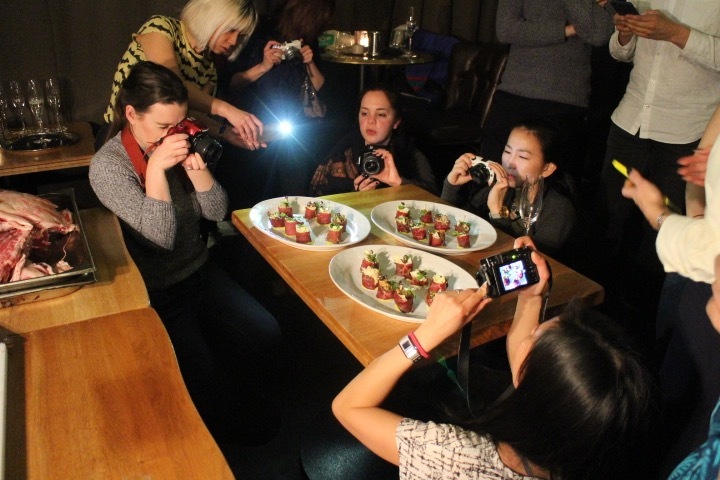 Throughout the night, we tasted Barbecoa canapés. 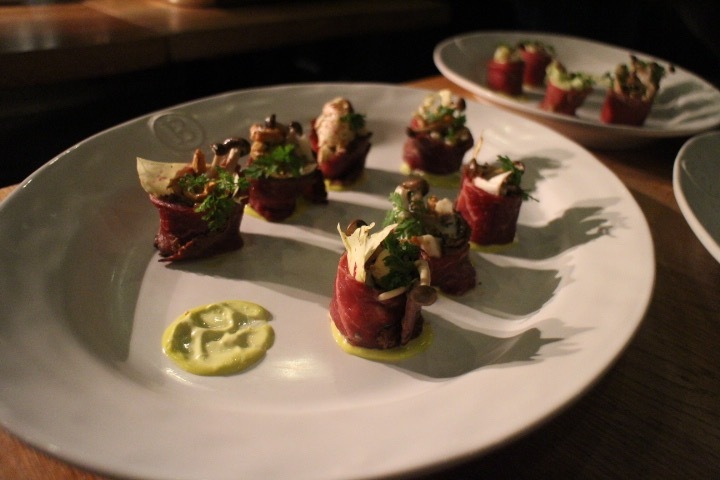 Lamb puff pastries smoked for 14 hours with Moroccan spices, pork scratching’s, beef involtini rare thin beef slices wrapped around a leaf with mushrooms. 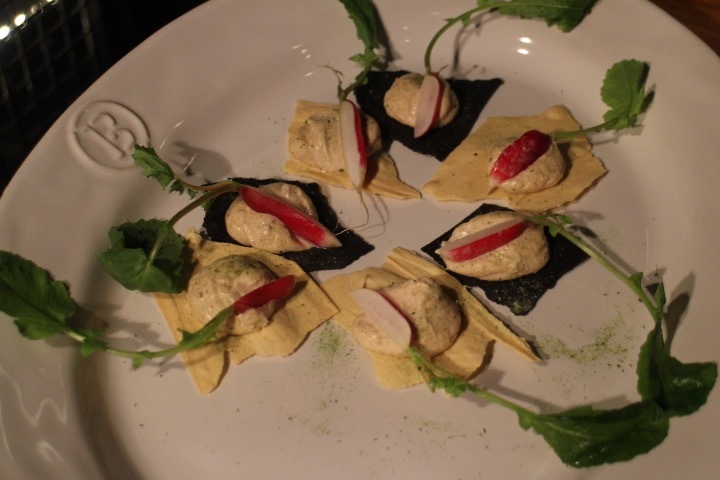 Taramaslata crackers whipped cod roe mixed with lemon, garlic, and olive oil. 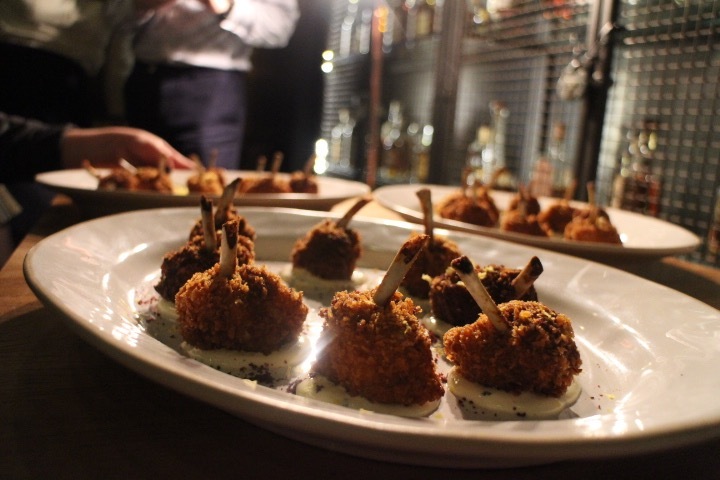 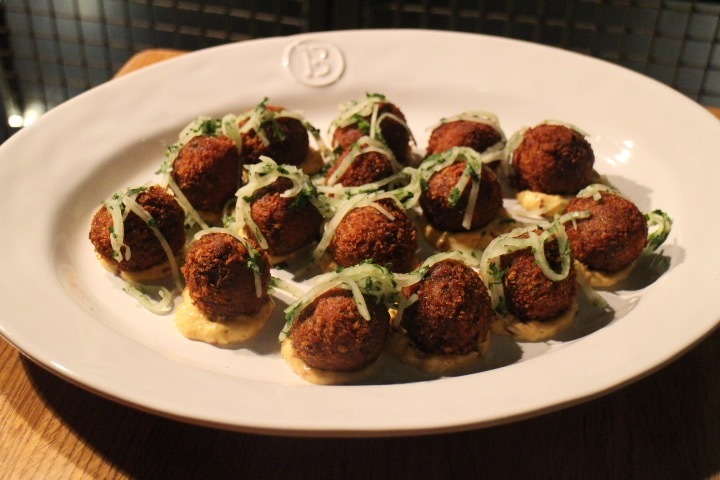 Short rib croquettes are made of pulled pork meat that’s been smoked for 18 hours, coated in panko crumbs served with a chipotle and lime mayonnaise. 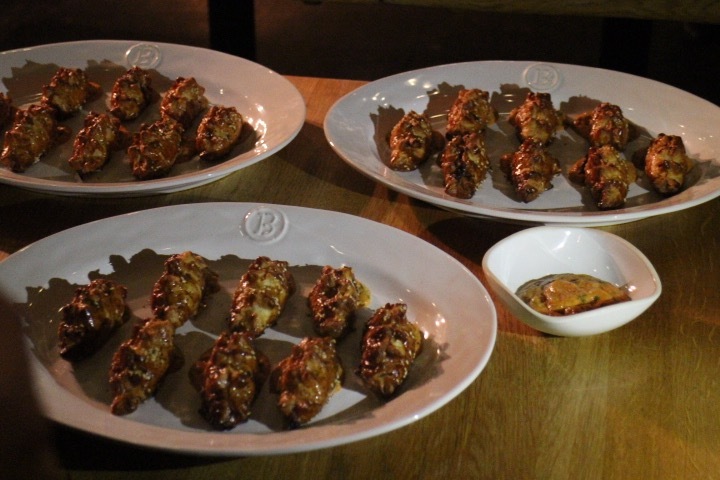 Spiced chicken tulips were my favourite canapé of the night, chicken wings that have been brined coated in a spice crumb crispy fried then adding the bone back in so it can be used to pick it up. 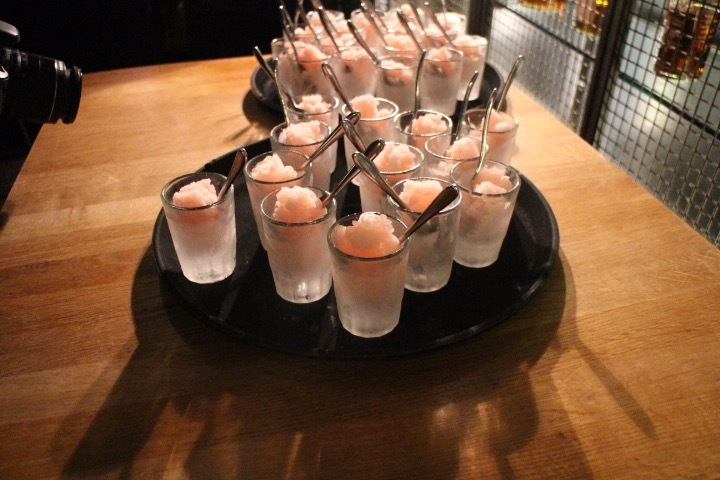 Rhubarb gin granite was rather refreshing and perfect to refresh our taste palettes. 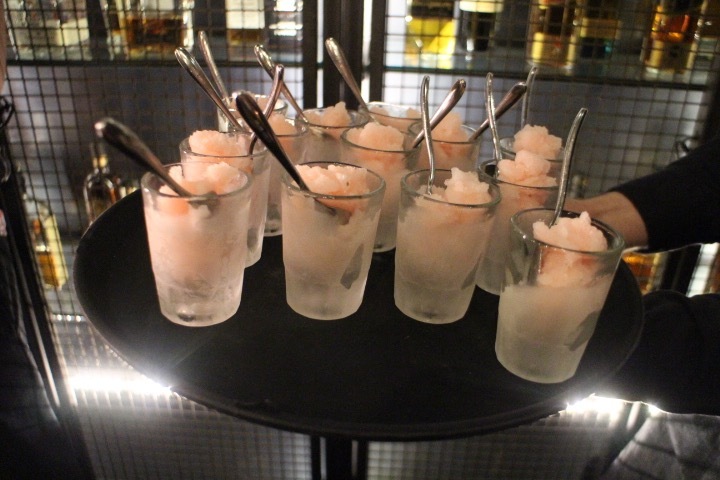 Icy and slushy filled with boozy gin and rhubarb juice. 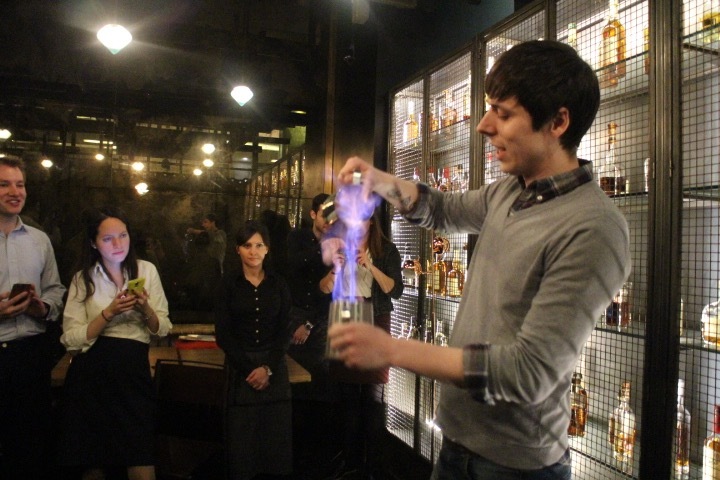 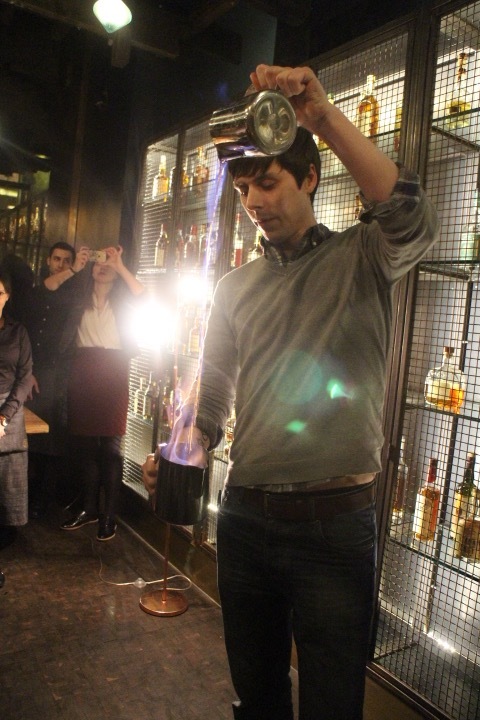 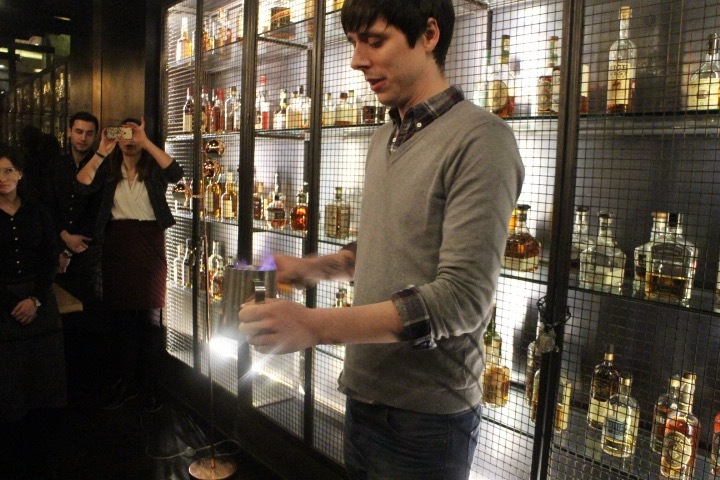 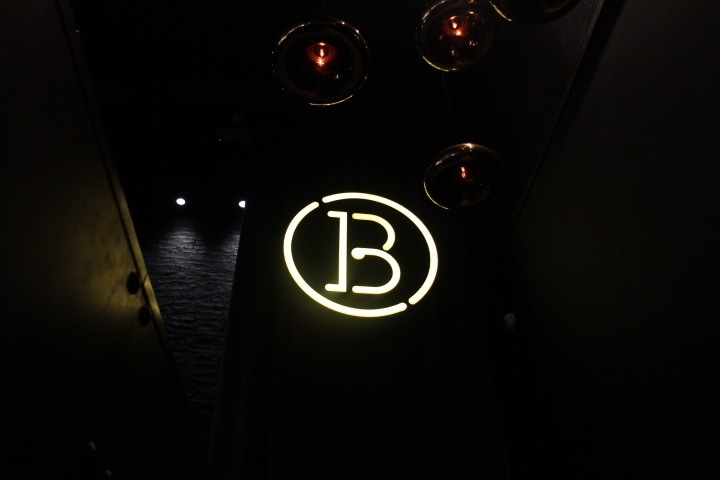 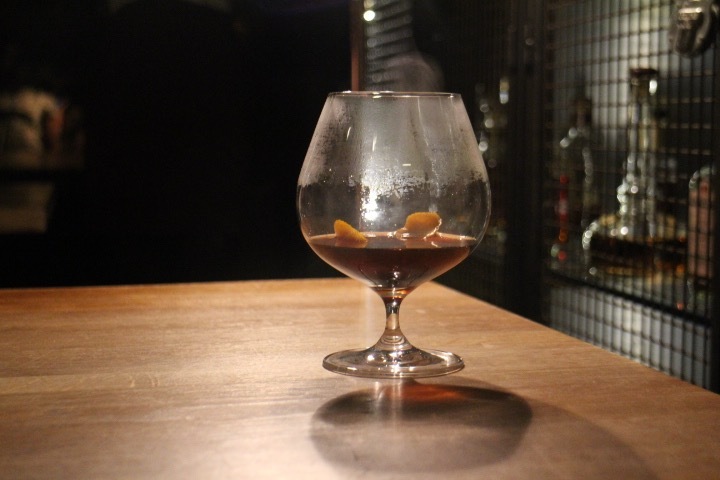 We were also treated to Barbecoa blazer cocktail, where the bartender tossed a burning blue flame alcohol back and forth into metal jugs making a warm delicious cocktail similar to mulled wine.